Please note that we are experiencing issues with the telephone line at Silverlock Medical Centre. There is a very limited service today with calls coming into the surgery, we apologise in advance for any issues you may be experiencing and thank you for your patience. We are informed that the telephony provider is working to rapidly resolve this, however we have implementing a limited interim solution whilst the issue is being resolved. The contract with the organisation that currently runs your GP surgery is coming to an end, so we (NHS Southwark Clinical Commissioning Group (CCG)) need to appoint a provider of GP services at your surgery. Also, we are planning to build a new health centre on the Dulwich Hospital site, due to open from 2020. As the contracts for GP services at both the Hambleden Clinic and Melbourne Grove Medical Practice are due to come to an end, we propose that the best way forward would be to bring GP services for both surgeries together as one contract instead of two. This means both existing surgeries would operate as one larger GP surgery from the new health centre. The new contract would last for five to ten years. We will ensure that GP services continue to be provided at both the Hambleden Clinic and Melbourne Grove Medical Practice until the new Dulwich Health Centre opens. We are also proposing that, from 2020 the 8 to 8 (Extended Primary Care Service) for the south of the borough, currently based at the Lister Primary Care Centre, relocates to the new Dulwich Health Centre. We will also consider whether any 8 to 8 services should continue to be offered from the Lister Primary Care Centre. Lister Primary Care Centre is at 101 Peckham Road, London SE15 5LJ. 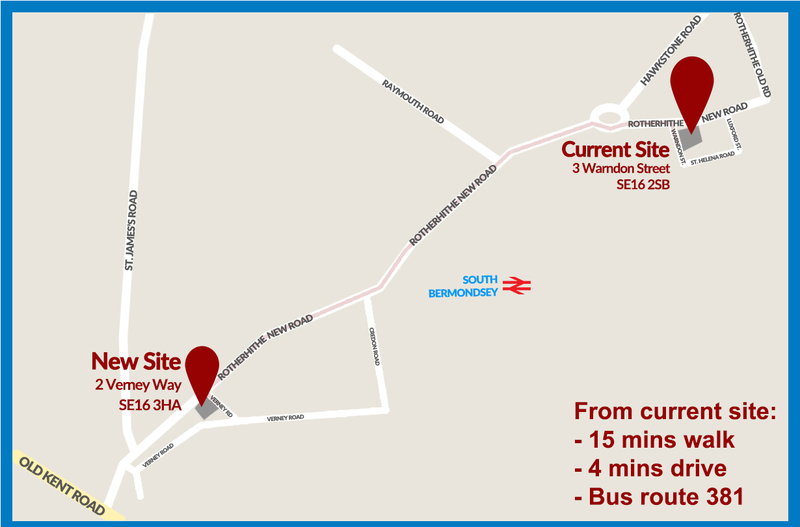 The new Dulwich Health Centre will be next to the current Dulwich Community Hospital, East Dulwich Grove, London SE22 8PT. This is our plan and we want to hear what our patients and stakeholders views are. This survey is to find out what you think is important about your surgery and what needs to improve. The questions should be answered by patients currently registered at the Hambleden Clinic or Melbourne Grove medical centre. If you are helping that person to complete the survey, please ensure the answers recorded are those of the individual and not yours. For each question please select the answer that best represents your views, or the views of the person you are completing this survey for. Who is NHS Southwark Clinical Commissioning Group? We are the statutory body responsible for planning, putting in place and monitoring health services for Southwark residents. We have a budget of £460 million which covers services like hospitals, community health, mental health, general practice (GP) and some pharmacy services. Our website is www.southwarkccg.nhs.uk if you would like to find out more. What are the changes proposed for the Hambleden Clinic? GP services are provided at surgeries on a contract basis. When a contract ends, the CCG has to agree a new contract with the same or another organisation to ensure that GP services continue to be available to patients. At the Hambleden Clinic, GP services are currently provided by AT Medics Ltd. This contract ends on 31 March 2019. The contract for GP services at Melbourne Grove Medical Practice, provided by Concordia Health Ltd, will also end on 31 March 2019. As you are probably aware, a new health centre is being planned to be built on the Dulwich Hospital site. The CCG has considered its options and, as contracts for GP services at both Hambleden Clinic and Melbourne Grove Medical Practice are due to come to an end, it is proposed that the best way forward would be to bring GP services for both surgeries together as one contract instead of two. This means both existing surgeries would operate as one larger GP surgery from the new health centre. The new contract would last for five to 10 years. This is our plan and we want to hear what our patients and stakeholders views are. What are the reasons for the CCG making this decision? When proposing that the Hambleden Clinic should become part of the new GP surgery at Dulwich Health Centre, the CCG considered a number of factors. Firstly, the CCG wants local patients to be able to access high quality sustainable GP services. The opportunity of moving GP services into the planned Dulwich Health Centre means that patients registered with a GP surgery here will be able to access high quality services as well as other services which will be delivered at Dulwich Health Centre. This will include services such as physiotherapy and long term conditions services. Evidence has also shown that surgeries with fewer than 6,000 patients often struggle to provide a full range of services and are not usually financially sustainable. Therefore, as Hambleden Clinic has fewer than 6,000 patients, and Melbourne Grove Medical Practice has just over 7,000 patients the CCG is of the view that both Melbourne Grove and Hambleden patients would benefit from improved care and services if they took this opportunity to become part of the new Dulwich Health Centre. How would health services for Hambleden patients improve by moving into Dulwich Health Centre? Patients would be able to see a GP or practice nurse in a modern purpose-built building, 8am – 8pm, 7 days per week, along with other health services which would be conveniently located in the same building. Larger GP surgeries are able to employ more staff due to the way they are funded. This would mean that the new GP surgery would have the choice to secure a wider range of staff, including pharmacists and nurses, so more clinics for long term conditions and health checks could be offered for example. There would also be more space for additional community health services to be provided from the same building. This means that patients who needed separate appointments with different services could organise their appointments more conveniently in one place to suit them. What would happen to my medical notes? Your medical notes would transfer securely to the new organisation providing GP services. You would not have to do anything. If you wish to register with another practice (not at Dulwich Health Centre) they would be transferred securely to the new surgery you have chosen to register with. How will you choose the new organisation to provide GP services from Dulwich Health Centre? We will run a formal selection or ‘tendering’ process in a fair and transparent way. We want to ensure that decisions made are in the best interests of patients, staff and taxpayers. Patients will be involved in the selection process. What is the timeframe for the changes? We would like to start looking at arrangements for the new contract in summer 2018 and will inform patients of the new provider no later than January or February 2019. We hope that the new practice will be able to open at the Dulwich Health Centre in April 2020, although the contract with the new organisation will start in April 2019 at your existing surgery. Why are you telling patients now? Having made our proposal, we now want to talk to patients and stakeholders to see what you think. Your views are important and will be taken into account when we propose the service model. Can I register at other local practices? Patients are able to change their GP surgery at any time. If you do not wish to receive GP services at Dulwich Health Centre in future, you can register at another nearby practice. If you wish to change your GP surgery, you can find information about other local GP surgeries on the NHS Choices website at www.nhs.uk. You will need to confirm with the practice of your choice that you live within their catchment area. Practice staff should support you through the registration process. How do I make my views about this proposal known? The CCG wants to make sure that your views are taken in to account. We would like to hear what you value about the current service and what you would like to see improved. Patients were invited to a patient information session on Thursday 22 March, 6.30pm at Dulwich Hospital, East Dulwich Grove SE22 8PT where they learnt more about the process and put forward ideas and suggestions. We will also explained how patients can be involved in the organisation selection process. Patients will be able to complete a survey which will also be available from your GP practice and on the internet when this is finalised in early May. We will send out text reminder messages when this is available. As such, we are pleased to inform you that we have secured new premises for Silverlock Medical Centre, just 4 minutes drive from our current site, with significantly improved facilities, more clinical rooms and improved patience access. Call 020 7237 4091You do not need to do anything except make a note of the new address – you will remain a registered patient and our telephone number will remain the same. The first date of resumed service at the new site is 8.00am on Monday 2 July 2018. You may be asked to see your GP at the new premises before 2 July as we have already begun to move over to the new site. If you have an urgent medical query between 29 June and 2 July, please call 111 free from landlines and mobiles. Out of hours cover provided by SELDOC on 020 8693 9066 will be available as usual. If you have any concerns please feel free to contact us on souccg.qrs@nhs.net or 020 7237 4091.